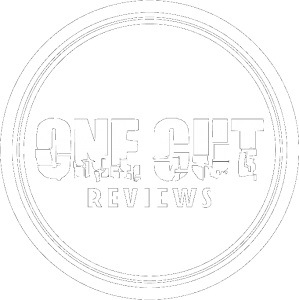 One Cut Reviews is a small organization based outside of Toronto, Ontario that was created by journalist and avid technology consumer Darren Zygadlo. Darren has a Bachelor of Education (BEd) in English Language and Literature and a Bachelor’s degree in Mass Communication/Media Studies from Murdoch University in Western Australia. For the better part of the past decade he has been educating young minds about the power of the media and the written word while pursuing his passions in writing and the study of mass communication technology. He is also a devoted father of one and husband to lovely wife Diana. Our reviews are designed to be just a small ‘cut’ of the hits and sometimes the misses of a new product. Ultimately though, we give our readers the information, so they can make up their own mind on where to best spend their hard earned cash. Our loyal readers are mostly comprised of business professionals, seeking news, fashion and technology products that accompany their modern lifestyle. On average we have over 2000 daily unique visitors with an approximate 6 different page views per session and consumption time being between 8-12 minutes. We are still building our social media following, but find our readers regularly like and share products and information they find on our site. Consequently, we have a positive return visitor rate of about 53%. For more information or to feature your product on our site, please find your way to the CONTACT section and we will be happy to respond to your inquiry.